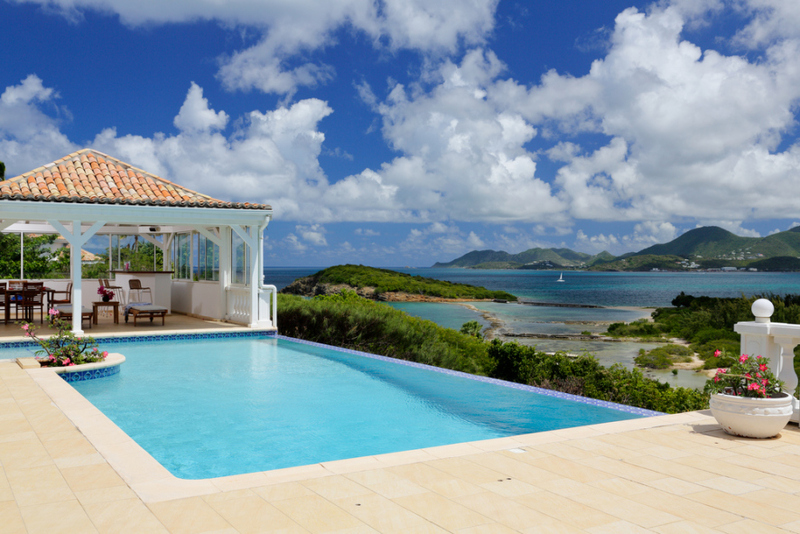 Seagrapes overlooks the beautiful Caribbean Sea and Marigot. 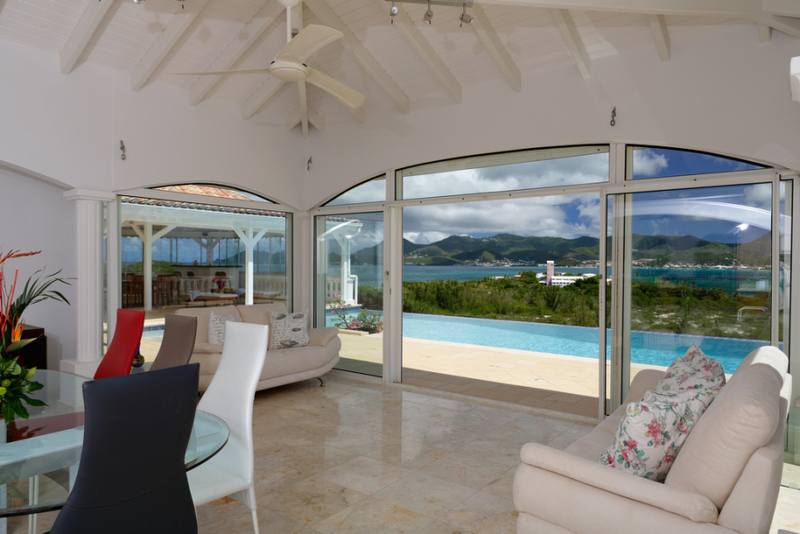 The stunning view also encompasses Simpson Bay and the mountains producing an incredibly relaxing atmosphere. 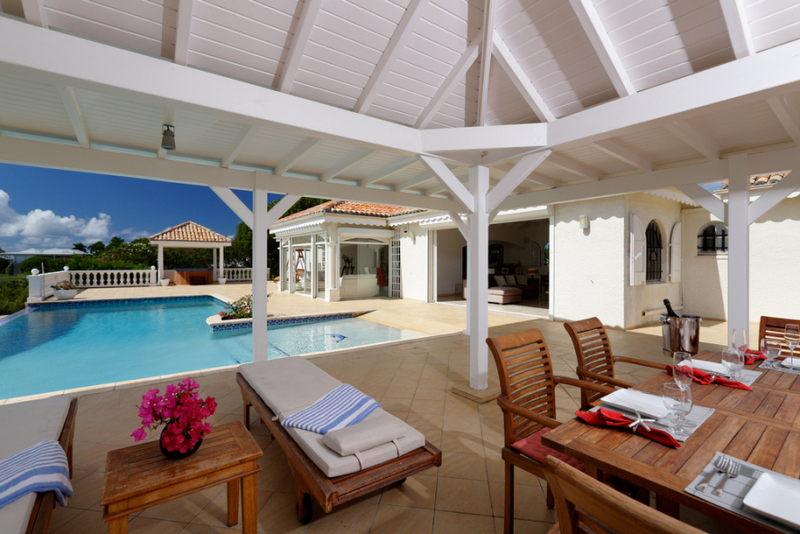 The property consists of two seperate villas with independent, electronically gated entrances. 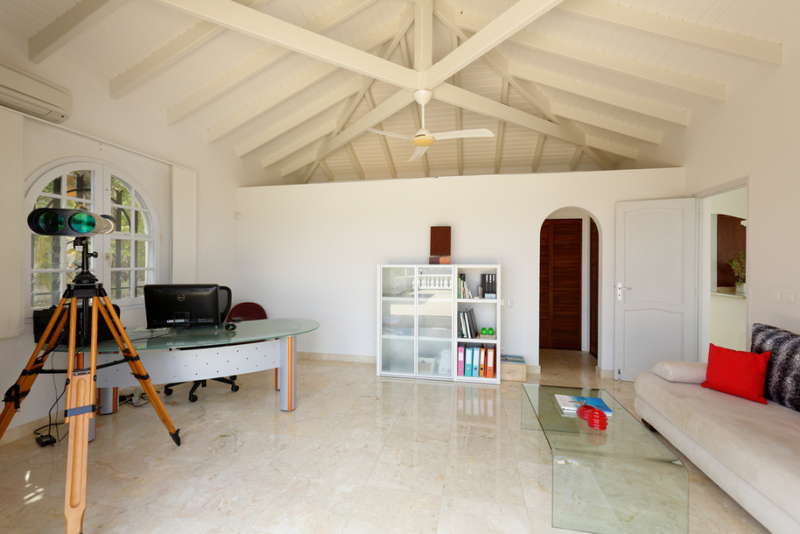 This allows for two private areas on the same property which is beneficial for renting the property or even for large families visiting that need more space. 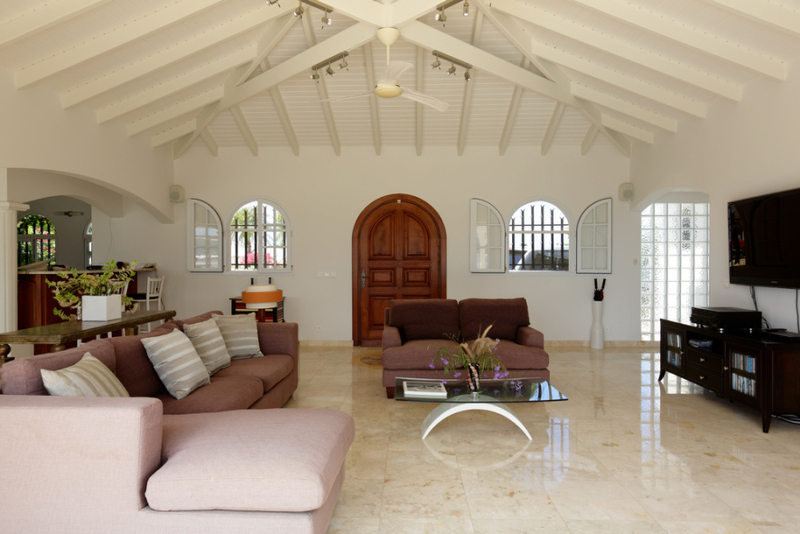 The main villa has been completely renovated and beautifully designed with a very modern style. 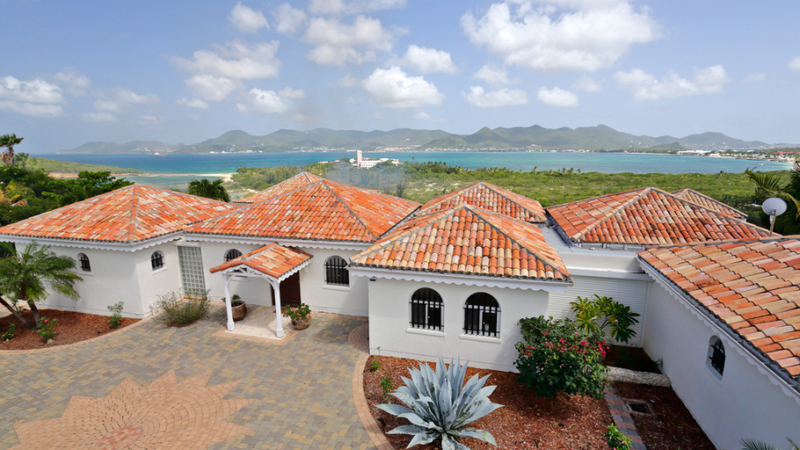 The villa has 4 bedrooms and 5 ½ baths on two levels. 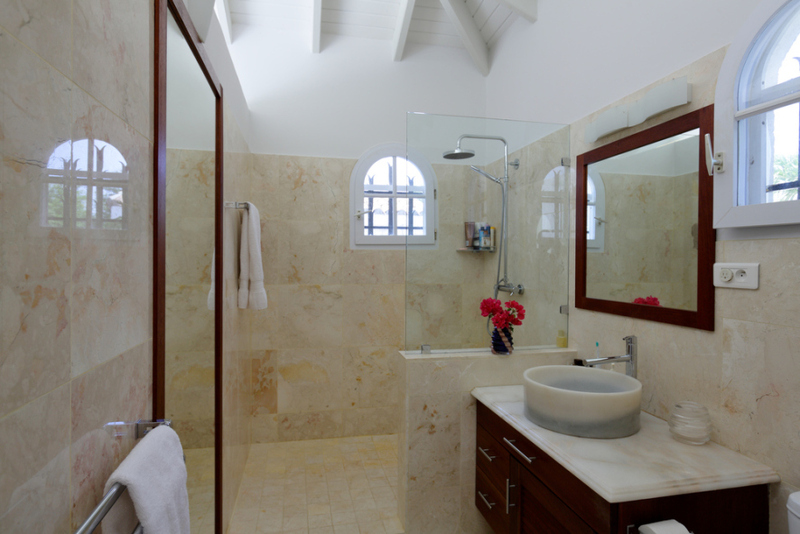 Granite, marble, glass, and custom woodwork are used throughout. 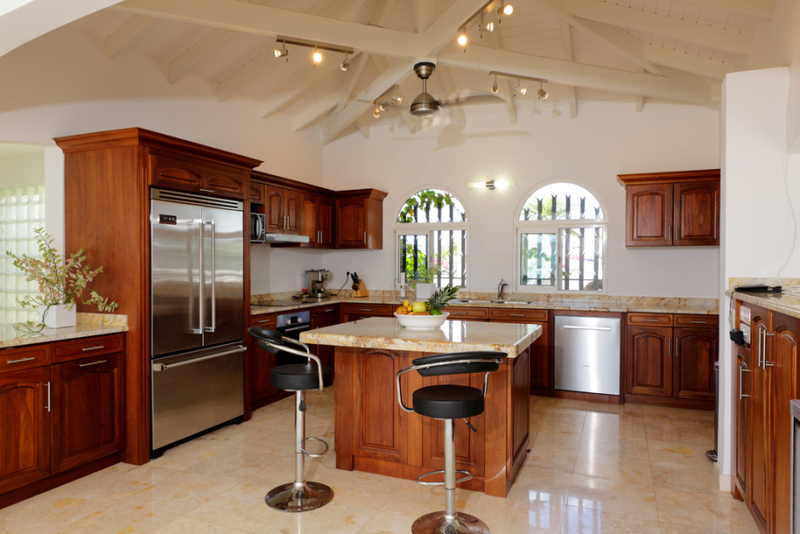 The open American styled kitchen is equipped with high end stainless appliances. 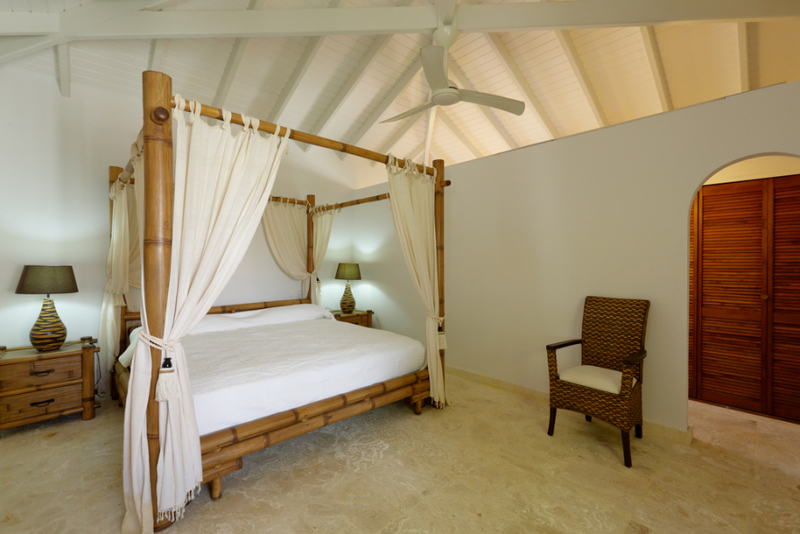 Each bedroom has en-suite bathrooms, great views, individual air conditioner, large closet space, ceiling fan and a safe. 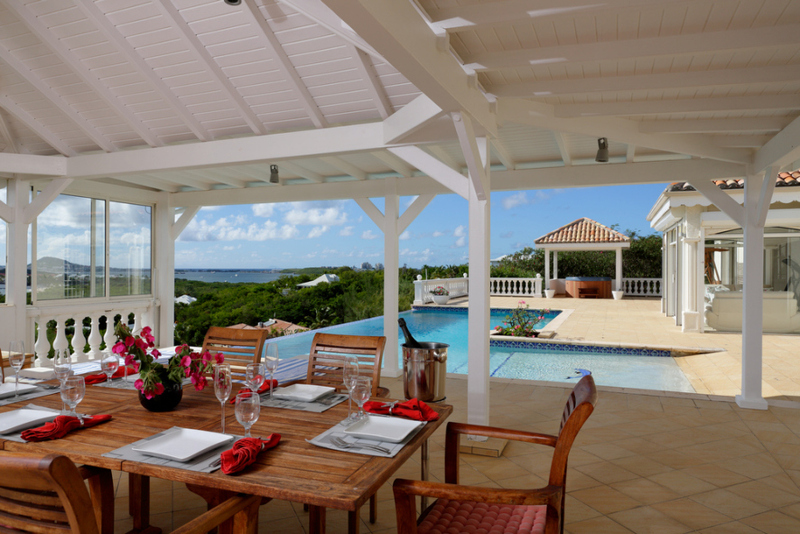 The open terrace with its infinity edge pool, gazebo, bar, and Jacuzzi are right outside the living room, dining room and bedrooms. 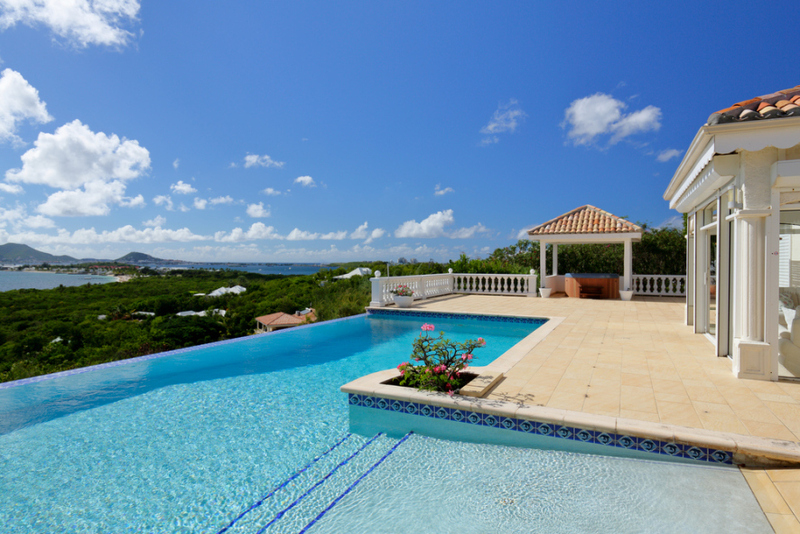 The view is spectacular and the high hilltop location provides refreshing trade winds. 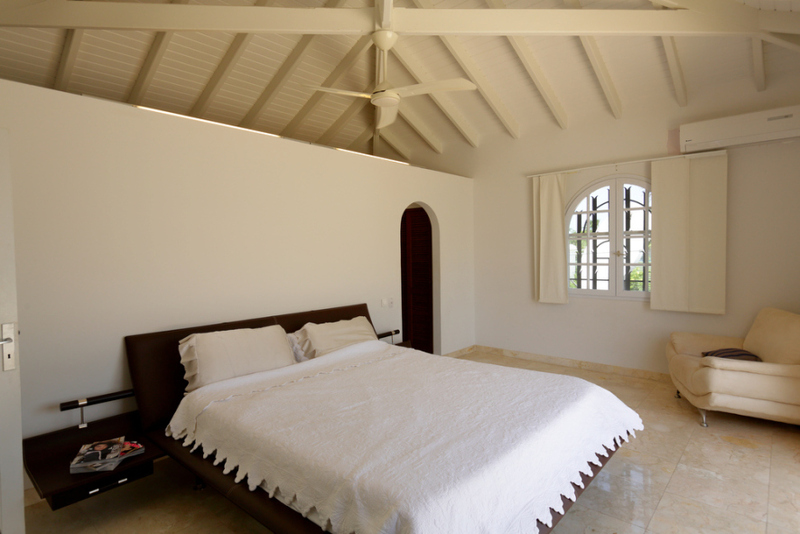 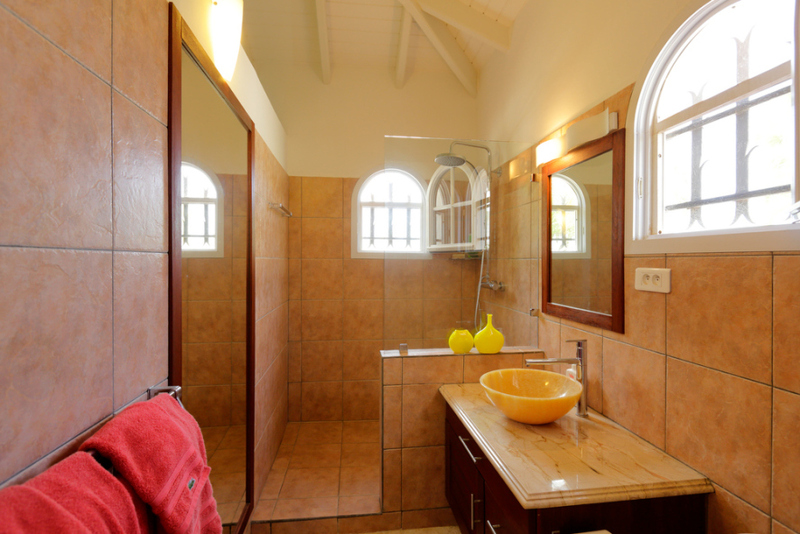 The guest villa, with a 2 bedroom and 2 ½ baths, has also been renovated and is completely self-sufficient. 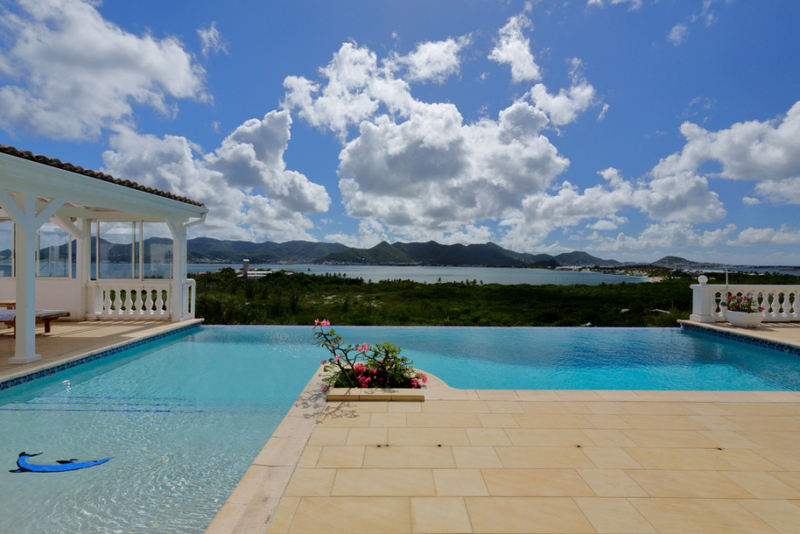 This villa is located in the very secure location of Baie Rouge one of the most exclusive and luxurious areas of St. Martin. 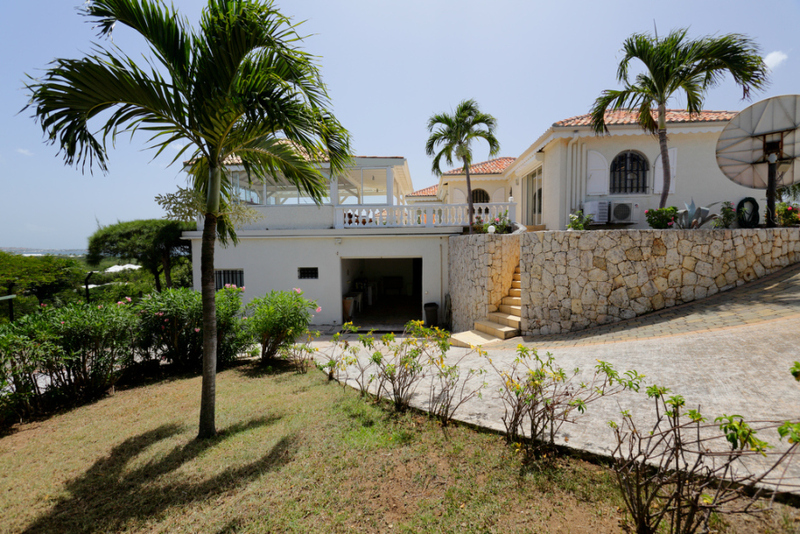 There is around the clock, 24/7 security as well.